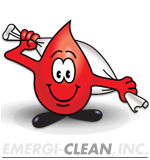 Emergi-Clean Inc.™ takes a step into 3D Documentation..
Emergi-Clean Inc. understands the importance and purpose of documentation. The meaning is to: Describe the use, operation, maintenance, or design of software or hardware through the use of manuals, listings, diagrams, and other hard- or soft-copy written and graphic materials. One form of documentation that is widely used is photography. The photograph documents reality is provided in an instant, using light and time to reproduce a moment, as it is perceived. This is what makes photography one of the most importance methods of documentation. This is why Emergi-Clean Inc. using its 3D camera powered by Matterport™, which has incorporated this service to benefit its clients and help others that might need assistance. Click here for a preview of our training room. What is a 3D Space? A Space or object is the complete, processed model of a real-world environment built from individual scan data. A Space may represent a home, multifamily unit, office suite, or business listing. While larger Spaces are sometimes possible, our supported maximum is 200 scans at a single time. A scan is the data collected from a single 360° rotation of a 3D Camera from a single position. Many scans are combined and processed to create a complete 3D Space. In the property insurance world it is critical for all sides involved in a claim to understand the damage. If a policy holder and or their contractor and carrier can’t agree on the value of the contents or the extent of the damage– we have a problem actually a huge problem. For an example; if a contractor and an adjuster can’t agree on the extent of damage to a property justifying a replacement – then this creates a issues with more then just a payment. Problems in the claims world is never a good thing, an already trumatic and deverstated situation can become even worse. 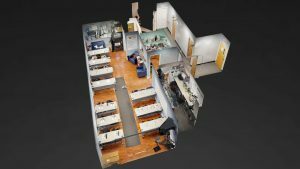 This is why Emergi-Clean Inc. uses its 3D capabilities to ensure that documentation and understanding of the claim for all party is a simple and easy.. Emergi-Clean Inc offers 3D scanning to areas prior to damages for record keeping and security reasons. After a claim is filed, tools that contractor are using like moisture readers and or a ATP reading created by Hygenia, which are unbiased source of truth to help indentify and understand the extent of damages respected by industry experts come in handed. 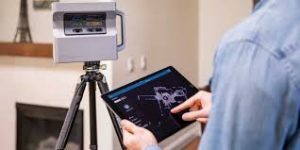 Everyone like policyholder, adjuster and contractor – can all agree that the HDR photography, interactive 3D walkthroughs, and digital measurements displayed in a 3D scan are indisputable and the best source of documentation a contractor or policyholder can provide. In using our camera, every scan point is time-stamped, there is no ability to alter photos, and dimensions are accurate within 1%. Insurance adjusters have a lot to gain as well, as a scan taken in the field at first notice of loss can allow them to release the claim for mitigation work to begin faster and they know which type of adjuster needs to go out to the field depending on the type and extent of damage. In more and more cases, based on the fact that our camera powered by Matterport represents an unbiased source of truth, they can save the trip to the field altogether and desk adjust the claim, knowing that the details from the 3D scan delivered are accurate and that every line item can be justified with the visuals. Click here for a recent job..
Are you a real estate agent, your ability to create and implement a successful marketing plan is essential to your business . These days, standard real estate marketing strategies need to incorporate digital marketing materials which is why you need to use virtual tours on your site. It is an elegant way to show your clients that you’re aware of the need of cutting-edge technological improvement to enhance there listing. Interactive technology is fascinating by definition – audiences enjoy digital media forms that provide space for independent exploration. Virtual tours give your clients the chance to investigate a realistic digital environment – they’ll be able to visit each room, zeroing on details like light fixtures and artisan tiles, all from their own laptops. Virtual tours share another marketing advantage with video – they hold attention for minutes at a time, which means that audiences are more likely to feel invested in the interaction and more likely to take the next step in their purchase journey. Establishing a sense of ownership is crucial to nudging clients towards finalizing the real thing. Virtual tours allow clients to tour the property independently, on their own time and at their own pace, giving them a sense of autonomy and personal connection. You can enhance and deepen this sense of connection by adding virtual tours to a suite of other interactive features – mortgage calculator, information about local amenities, IDX search functions – so that clients can use your listings to conduct extensive solo research. The more time and energy they invest, the more likely they’ll feel committed to reaching out to you with an inquiry. Open house events are a big part of any real estate agent’s business, but they involve a great deal of work – scheduling, staging, long hours on-site, keeping track of notes and contact information. Virtual tours allow you to digitize part of this process, keeping listed pr operties “open” and on display around the clock. You can also gather feedback on virtual tours by including them in social media and blog updates where viewers can leave questions and comments. 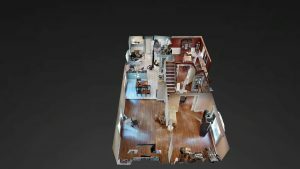 Virtual tours can feel like a time-consuming and expensive real estate marketing option, but you can incorporate them into a range of materials, including marketing emails and open-house notifications. It’s also worth remembering that virtual tours are not limited to strict realism. They also provide an innovative solution to agents representing properties that are not yet ready for move-in, including new and renovated buildings. 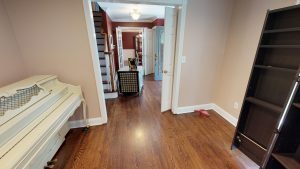 A virtual tour allows you to show prospective buyers a finished, furnished interior – making it that much easier for them to picture themselves inside. 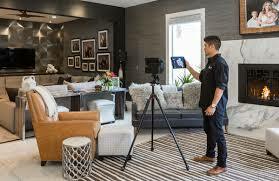 Virtual tours have been shown to attract more views and generate more leads than text and still images alone. Consider incorporating virtual tours into your digital marketing plan, so this innovative technology can give you a solid advantage in a competitive market. ©2015 All Rights Reserved - Emergi-Clean, Inc.